Mahon passenger and car ferry ticket prices, timetables, ticket reservations and information for ferries sailing from Mahon to Alcudia, Barcellona, Palma Mallorca and Valencia. Compare all available Mahon ferry ticket prices in real time and book the cheapest available Mahon car and passenger ferry tickets sailing to and from Mahon, Alcudia, Barcellona, Palma Mallorca and Valencia with Balearia or Acciona Ferry Line ferries online with instant confirmation. Book Mahon Ferry Tickets with Balearia or Acciona Ferry Line for ferries sailing from Mahon to Alcudia, Barcellona, Palma Mallorca and Valencia online in advance to enjoy the cheapest available ferry ticket price. The price you see is the price you pay. There are no hidden extras or surprises such as added fuel surcharges or booking fees and we do not charge you anything extra for paying with a Visa Electron card. The price we quote you for your selected Mahon passenger or car ferry ticket, onboard accommodation and vehicle type is all you will pay, and that's a promise. To obtain a Mahon ferry ticket price and book your ferry ticket securely online please use the real time ferry booking form on the left. You are also able to add a hotel at your destination, or anywhere else, to your ferry ticket when completing your ferry ticket reservation. Mahon has been the capital of Menorca, since the British moved it from Ciutadella in 1721. The reason being the harbour at 5 km long, over 1 km at its widest point and 15-30m deep it is one of the largest natural harbours in the world. This coupled with Its location in the Mediterranean, has made it a strategic stronghold for many nations throughout history. Mahon has three annual fiestas. It is well worth going to one as the Spanish really how to party and are very welcoming to tourists that want to join in. The first is in March and April during Holy Week there are solemn processions in the city and other villages. The second is in February where there are a string of Carnivals in several towns throughout Menorca during the week prior to Lent. The third is from 7th to 9th September this is the fiesta de la Mare de Deu de Gracia. The Punta Prima beach is very close to Mahon and has fine white sand to one side and rocks to the other. Facilities include pedaloes, windsurfing, and sailing equipment available to hire, and parking. The Es Grau beach is also close to Mahon. Es Grau is a sandy beach surrounded by sand dunes and pine trees with a fresh water lake. Situated on the national park near a quaint Spanish fishing village. Local facilities include restaurants, bars, and shops. The marina in Mahon is the largest on the island it is called the Ribera del Puerto. It has 332 berths and facilities such as drinking water, electricity, 50tm travel lift, 50tm crane, maintenance and repairs, 24hr security, weather service, shipping canal, changing rooms, bar, restaurant, supermarket, laundry service, and a bank nearby. The Club de Golf Son Parc golf course is situated in Mahon. It was designed by Dave Thomas, and is situated close to the sea, surrounded by pine trees, and home to many peacocks. It is a moderately short and even course, trickier on the greens, however the wind can add challenges on every hole. Best Price Guarantee - We always offer you our lowest available Balearia or Acciona Ferry Line passenger and car ferries ticket price to and from Mahon. There are no hidden extras or surprises such as added fuel surcharges or booking fees and we also we do not charge you anything extra for paying with a Visa Electron card. The price we quote for your selected Mahon ferry ticket, onboard accommodation and vehicle type is all you will pay, and that's a promise! In the unlikely event you find the same all inclusive Mahon ferry ticket cheaper in the brochure of any other tour operator we promise that we will do our best to beat that price or offer you the choice of requesting a refund. 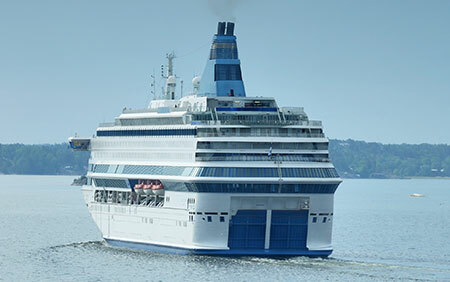 To book Mahon car and passenger ferry tickets please click here. At ferryto.com you are able to obtain live Mahon ferry ticket prices, check availability and book car and passenger ferry tickets to and from Mahon at our lowest available ticket price. Ferryto.com is part of the world's largest online ferry ticket distribution network providing the ability to book over 80 major European ferry operators including to Mahon and to over 1,200 other ferry routes throughout the UK, France, Spain, Ireland, Holland, Eastern Europe, the Mediterranean, the Baltic and North Africa.